Siete amanti dell’avventura? 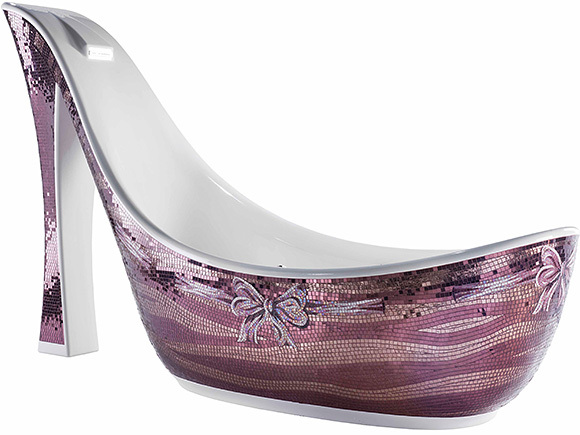 Adorate il genere kawaii? Non potete fare a meno del lieto fine? 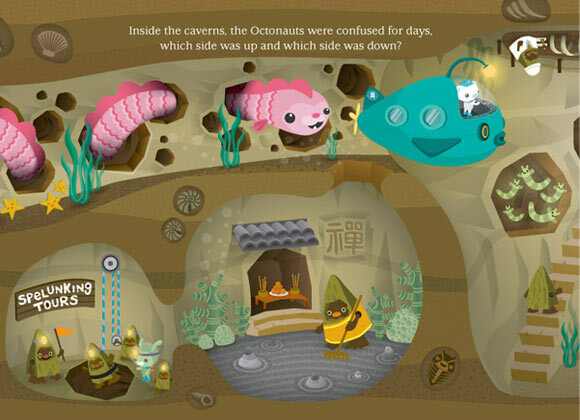 Allora i tenerissimi Octonauts conquisteranno i vostri cuori! Are you adventurous? 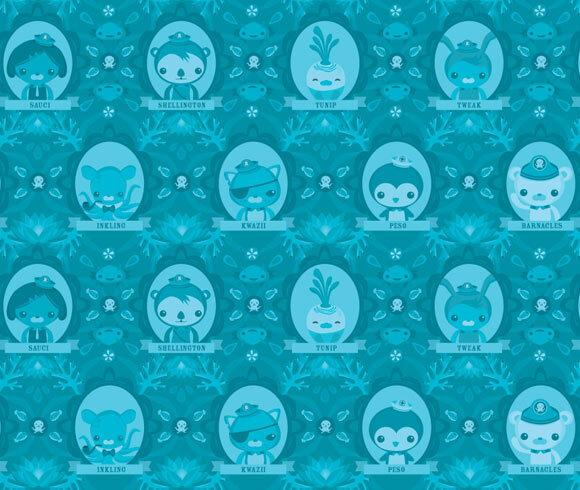 Do you love kawaii? Do you like happy endings? 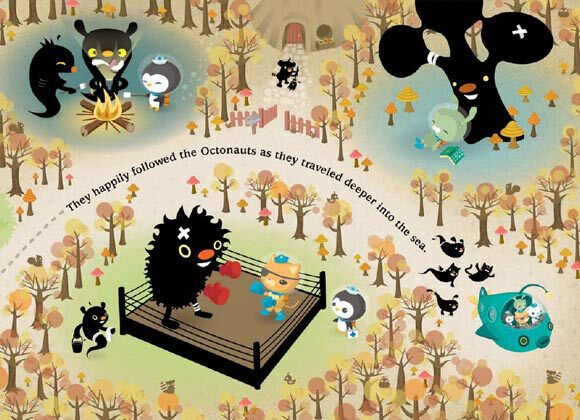 Then the sweet Octonauts will conquer your heart! 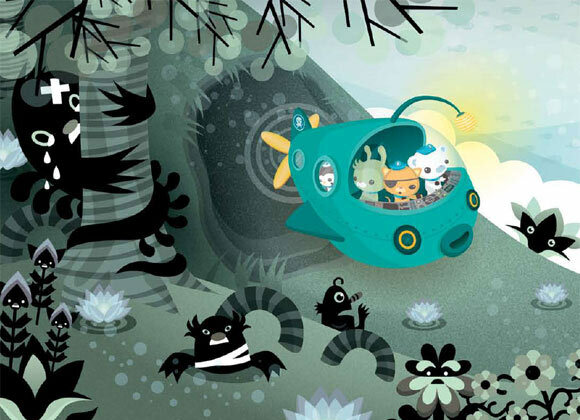 Gli Octonauts, creati dalla canadese Vicki Wong e dall’americano Michael Murphy, conosciuti nel mondo dell’illustrazione vettoriale come Meomi, sono i protagonisti di una versione kawaii di Star Trek, dove però le avventure non si svolgono nello spazio, bensì… nell’oceano! E altro che Enterprise! 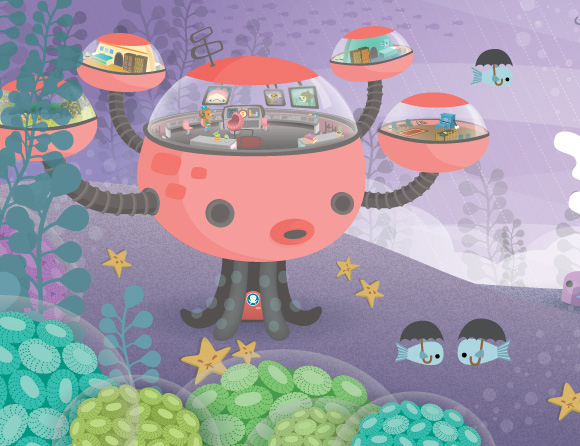 La loro base è l’Octopod: una casa mobile a forma di polpo! 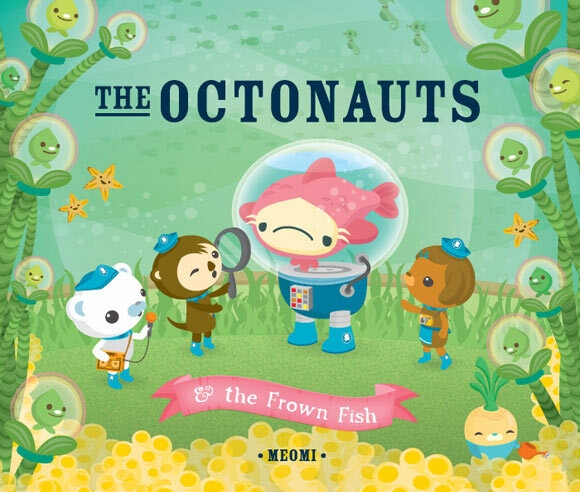 The Octonauts, created by Canadian Vicki Wong and American Michael Murphy, known in the world of vector illustration as Meomi, are the protagonists of a kawaii version of Star Trek, whose adventures don’t take place in the space, but… in the ocean! They don’t need Enterprise! 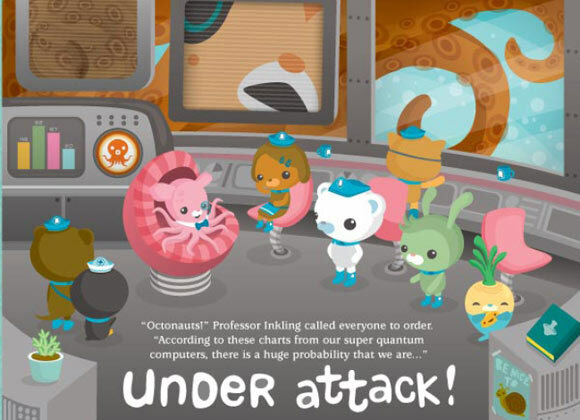 Their base is the Octopod: a mobile home octopus shaped! 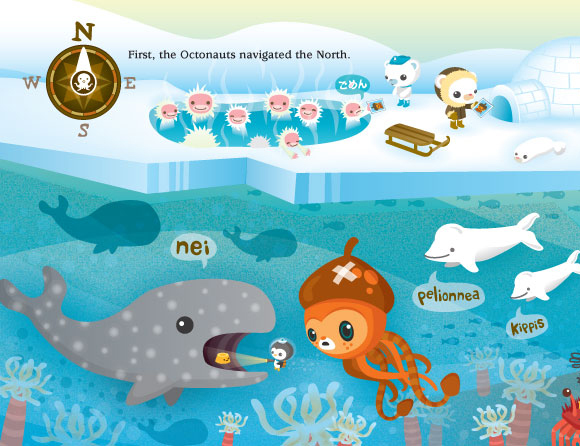 Gli Octonauts sono i protagonisti di 4 libri illustrati da Meomi e pubblicati da Immedium in lingua inglese. 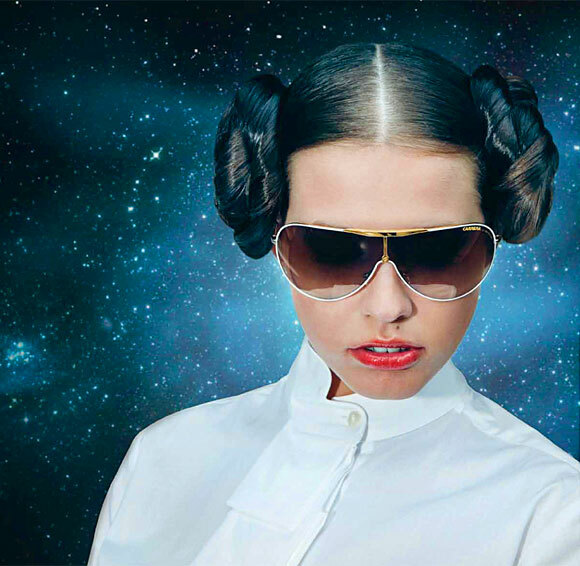 In ogni volume si trovano ad affrontare un “problema” che risolveranno con bontà e in modo kawaii. 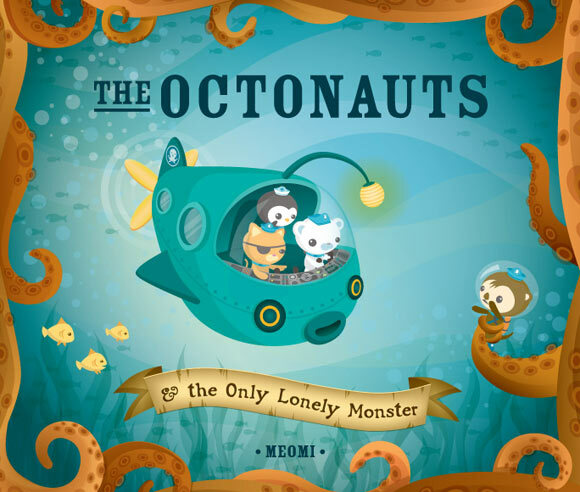 The Octonauts are the protagonists of four books illustrated by Meomi and published by Immedium in English language. In each volume they are facing a “problem” which will be solved with kindness and in a kawaii way. 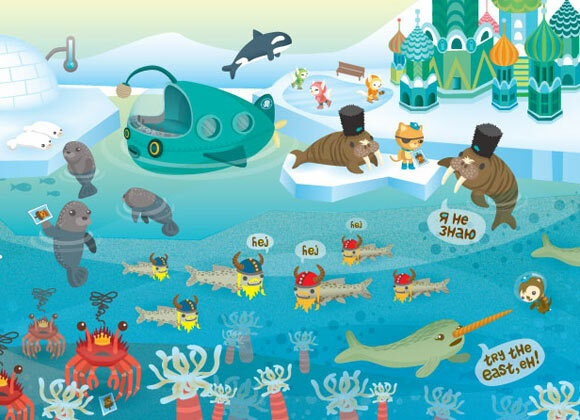 Queste fiabe educative, legate all’amicizia e al rispetto dell’ambiente, sono dedicate ai più piccini, che si divertiranno anche a intergire con il libro che per leggere alcune pagine dovrà essere capovolto. 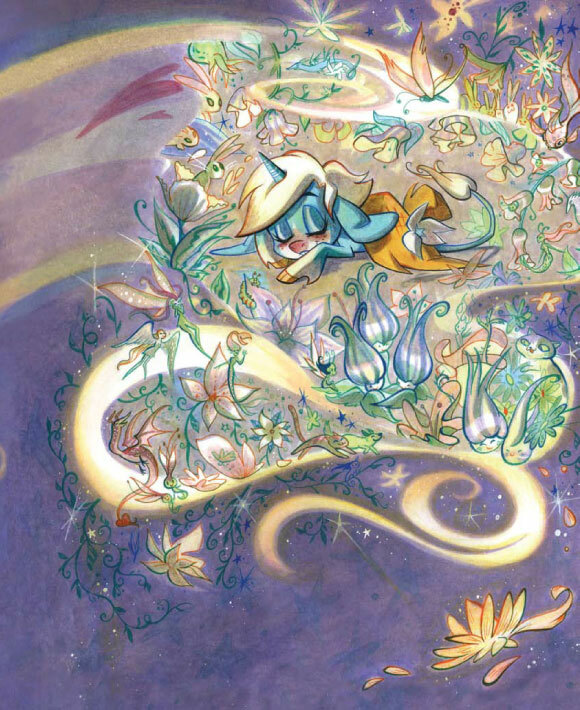 Ma anche i fan del genere kawaii e dell’illustrazione vettoriale non potranno restare indifferenti di fronte ad una rappresentazione così dolce, tenera e colorata di un misterioso mondo marino ricco di creature particolari. 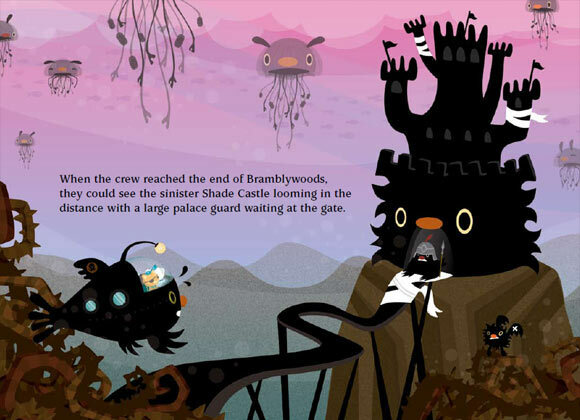 These educational stories, based on friendship and respect for the environment, are dedicated to children, who also enjoy to interact with the book, in fact some pages must be turned upside down to be read. 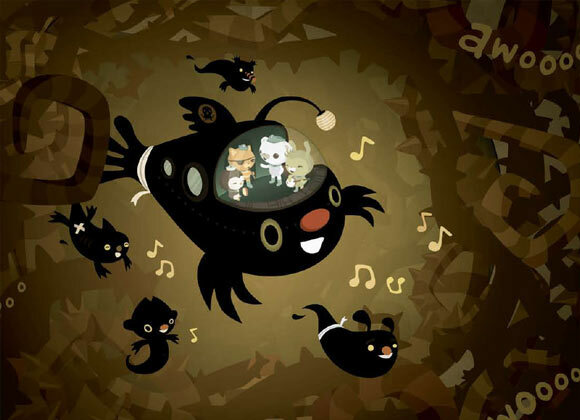 Who love the kawaii genre and the vector illustrations will be conquered by this sweet, tender and colored representation of a mysterious underwater world populated by strange creatures. 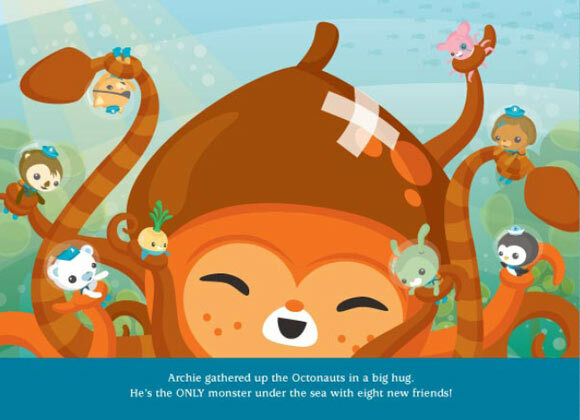 Nel primo volume della serie gli Octonauts si trovano a dover risolvere una situazione di pericolo: un mostro si è aggrappato all’Octopod, ma sarà veramente pericoloso come si pensa? Una dolce storia che sarà un inno all’amicizia. 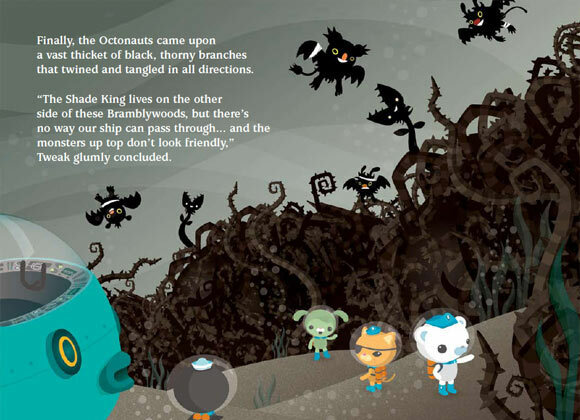 In the first volume of the series, the Octonauts have to solve a dangerous situation: a monster grasped at the Octopod, but is it really dangerous as they think? 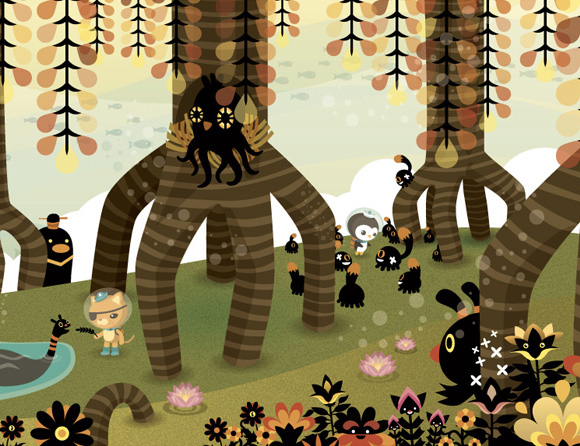 A sweet story that is a ode to friendship. 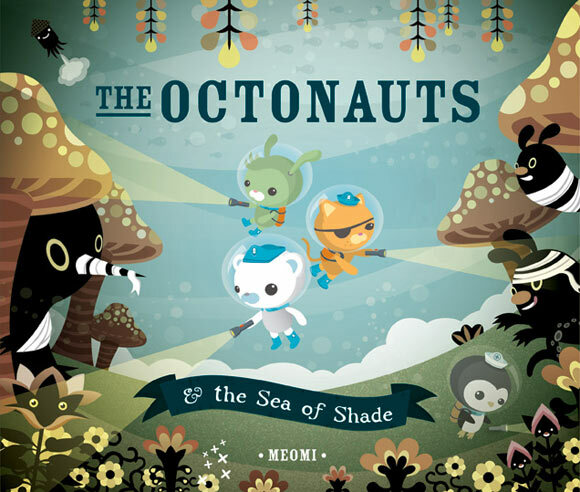 Nel secondo volume della serie gli Octonauts si accorgono di aver perso le loro ombre. Inizia così una nuova avventura nel Mare delle Ombre che ci insegnerà a non dar mai per scontate le cose e ad apprezzare quello che abbiamo. Dove saranno finite le loro ombre? 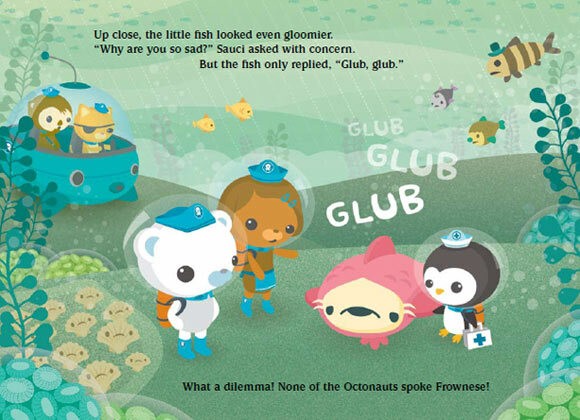 In the second volume of the series, the Octonauts realize that they have lost their shadows. So a new adventure begins in the Sea of Shade which will teach us not to take things for granted and to appreciate what we have. Where will their shadows be? 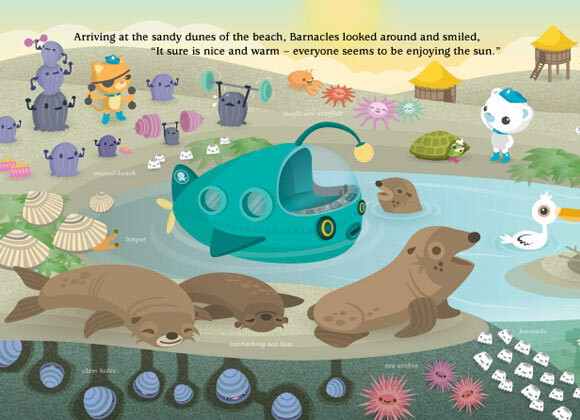 Nel quarto volume della serie gli Octonauts affrontano il tema dell’ecologia: la variopinta città della grande barriera corallina Great Reef City, dove dovevano trascorrere la loro vacanza, è diventata bianca e tutti gli abitanti sono scomparsi!!! 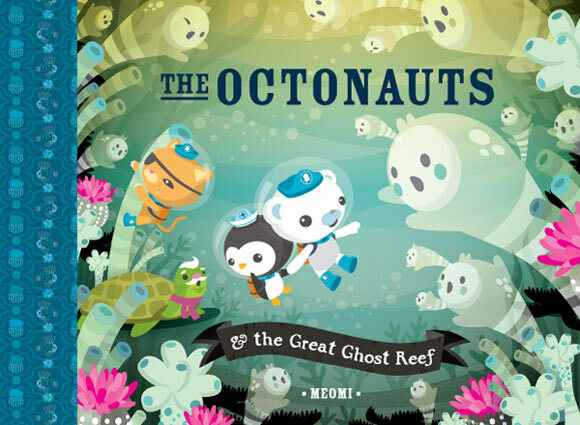 Se volete saperne di più, vi rimandiamo all’articolo “Kawaii Book: The Octonauts & the Great Ghost Reef - Meomi“. 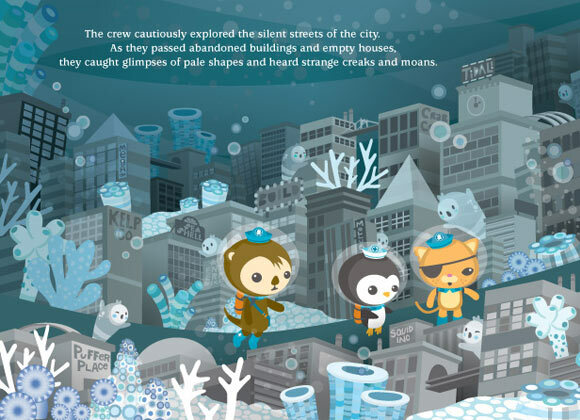 In the fourth volume of the series, the Octonauts talk about ecology: the colourful Great Reef City, where they would spend their holidays, has become white and all the inhabitants are gone!!! 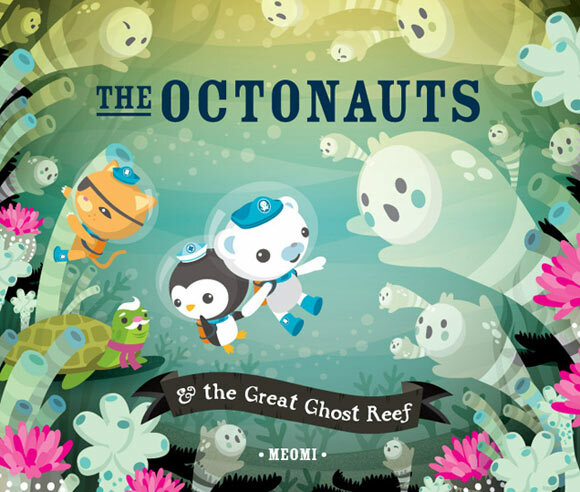 If you want to learn more, please visit the article “Kawaii Book: The Octonauts & the Great Ghost Reef - Meomi“. 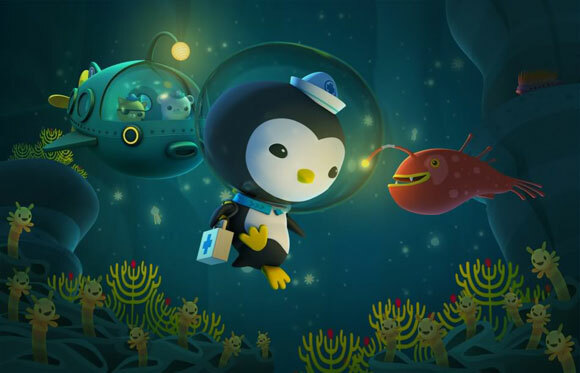 Dagli Octonauts è stata tratta un serie televisiva animata, prodotta da Chorion, che sarà trasmessa a partire da quest’anno su CBeebies (BBC) in UK, TF1 in Francia e ABC in Australia. 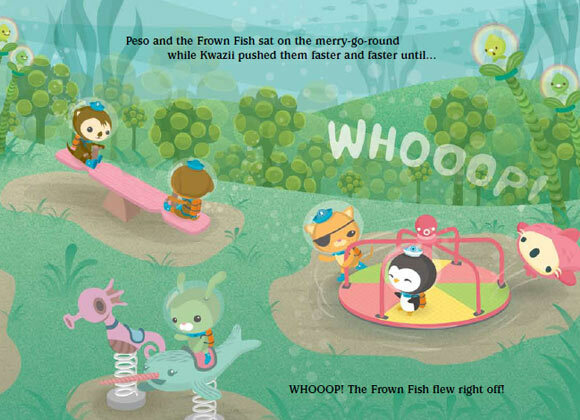 A seguire, nel 2011, una serie di giocattoli prodotti da Fisher-Price per i bambini dai 3 ai 5 anni. 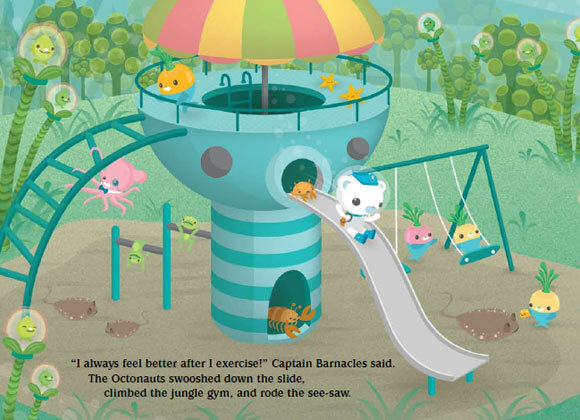 The Octonauts became an animated television series, produced by Chorion, which will be screened this year on CBeebies (BBC) in the UK, on TF1 in France and on ABC in Australia. 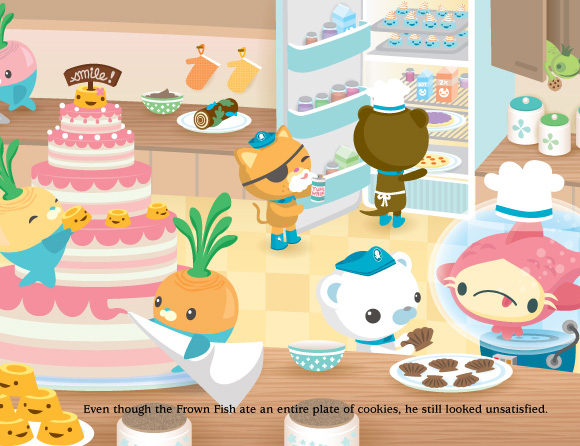 Afterwards, in 2011, a series of toys, produced by Fisher-Price for children aged 3 to 5 years. Lo sapevo che ti sarebbero piaciuti!!! Questo non lo sappiamo, ma ti possiamo assicurare che l’inglese è davvero molto semplice e sono facili da capire.